One of Paul Manafort's accountants admitted Friday she may have committed a crime by filing tax returns for him that she thought contained false information, Politico reports. Why it matters: The information Cindy Laporta was suspicious about on the tax returns is related to the former Trump campaign chairman’s international consulting business. 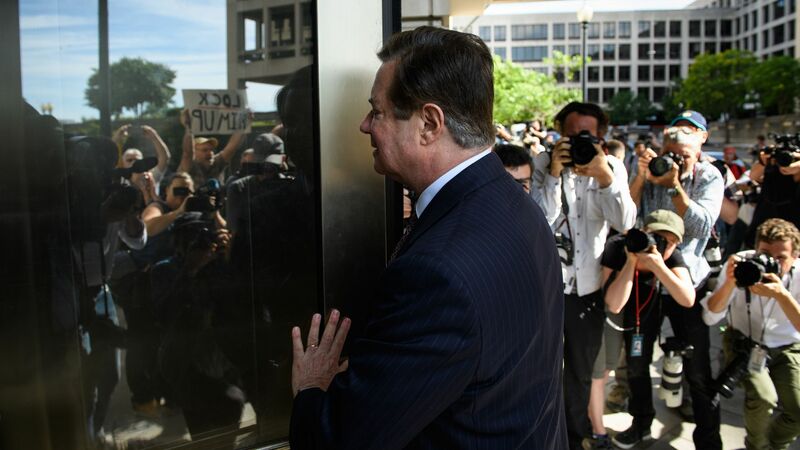 Laporta is the first witness who has immunity to testify in the trial — and her testimony could be critical to the effort to prosecute Manafort on charges of tax and bank fraud. She doubted that $2.4 million worth of funds Manafort said he received as a loan from international businesses was actually a loan. The funds were coming from Manafort’s customers, which she found suspect. When Laporta asked for documentation of the loans, she did not receive the usual extensive documentation in a stack of papers with fine print terms, and instead received one or two pages. She said she found that unusual. She also revealed it was Manafort's own signature on the loan documents, not Gates', which is important since Manafort's defense has been trying to peg Gates as the interlocutor in the financial wrongdoing, per The Washington Post.